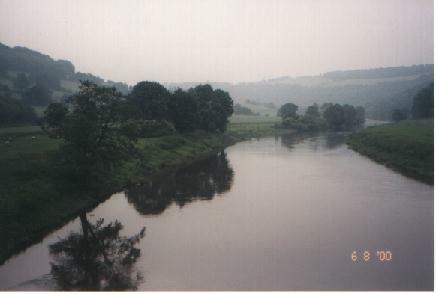 Today we crossed the Severn River from England into Wales. We cycled up into the Wye Valley. 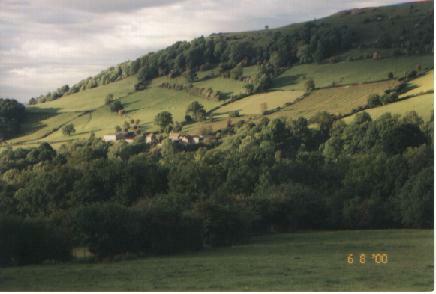 The lower valley is quite beautiful; pastoral, picturesque. We also made a brief stop at Tinturn Abbey. 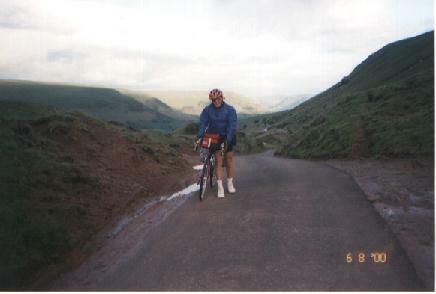 But the real adventure of the day came when we started our climb into the Vale of Ewyas, and crossed Gospel Pass between Capel-y-ffin and Hay-on-Wye. We rode and pushed our way up this valley for hours as the valley became narrower, the sides steeper and higher, the lane narrower and more winding. The sides of the valley are so steep in places, it's amazing the sheep and occasional cows don't simply tumble down the side. While the temp steadily dropped until it was somewhere in the high 30's, the wind increased to a dull roar. We made our way higher and higher until we were traveling through a barren land of grass and sheep and wind and rock. Finally, we crested the pass and the world opened up before us. 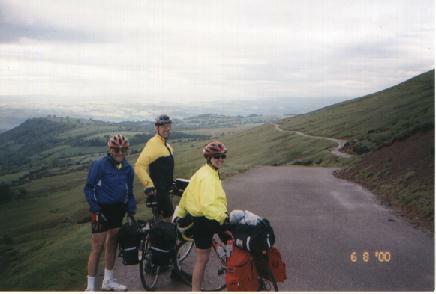 Spirits soaring, we coasted the few frigid miles down into Hay-on-Wye to a hot dinner and a warm bed.